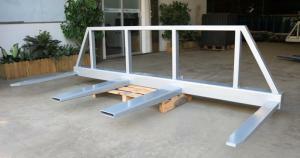 If you receive bulky or oversizes deliveries to your factory or warehouse, then you have come to the right place. 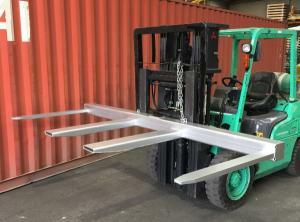 Our wide range of forklift spreaders available online at affordable prices will suit even the most cumbersome of goods and help to provide a safe and effective way to manoeuvre them throughout your warehouse or worksite. Please note that it’s important to ensure you don’t exceed the individual weight or girth requirements of the particular spreader you select in order to protect the safety of your employees. This information is readily available depending on which spreader you choose. 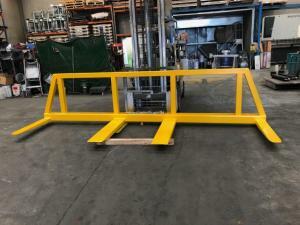 We also offer a range of other products, including container ramps and IBC accessories. Whatever your requirements are, you can rely on the experienced team at DHE Materials Handling Equipment have the products you need. If you have any questions about our range of forklift spreaders or you would like to clarify any information, our friendly team is always available to help you with your enquiry. You can reach us by contacting our sales team directly on 1300 067 281 or by sending an email to sales@dhemhe.com.au. Alternatively, you can send us a message on our contact page and we’ll get back to you as soon as possible with the information you require. We look forward to hearing from you.